Used Nissans in Stock | Southfield Chrysler Dodge Jeep Ram " "
Recent Arrival! NAVIGATION, DUAL SUNROOFS, LEATHER HEATED SEATS, REMOTE START, 18'' ALUMINUM WHEELS, REAR VISION CAMERA, POWER DRIVER/PASSENGER SEATS, Automatic temperature control, Distance pacing cruise control: Intelligent Cruise Control, Front dual zone A/C, Front fog lights, Garage door transmitter: HomeLink, Heated front seats, Heated steering wheel, Leather-Appointed Seat Trim, Navigation System, Power driver seat, Power moonroof, Power passenger seat, Radio: AM/FM/HD/CD Audio System, Steering wheel mounted audio controls, Wheels: 18 Machined Aluminum Alloy. CARFAX One-Owner. Clean CARFAX.Coulis Red 2017 Nissan Maxima 3.5 SL 4D Sedan 3.5L V6 DOHC 24V CVT FWDSouthfield Dodge Chrysler Jeep Ram is honored to offer this fantastic-looking 2017 Nissan Maxima. 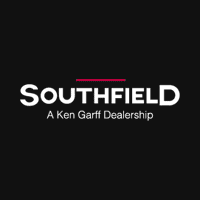 21/30 City/Highway MPGAwards: * 2017 KBB.com Best Resale Value Awards Southfield Chrysler Dodge Jeep Ram became part of the Ken Garff Family in 2014. Our dealership has many satisfied customers from Southfield, Detroit, Bloomfield Hills, Farmington Hills, and Troy, MI. Our commitment to our customers begins from the moment they step into our showroom and test drive one of our new Chrysler, Dodge, Jeep, or Ram models or one of our quality used vehicles.